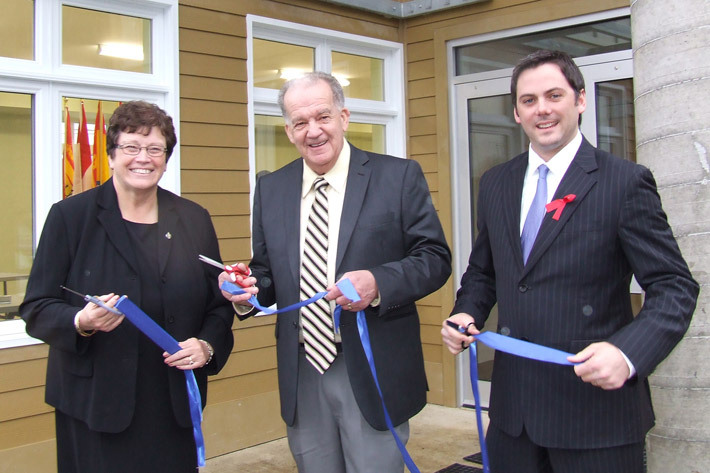 UPPER MIRAMICHI (CNB) – Representatives from the three levels of government joined local residents today to officially open the Rural Community of Upper Miramichi Community Development Centre. The facility houses recreation and business space, and is designed to help foster economic and social activity. Stewart spoke on behalf of Economic Development Minister Paul Robichaud. O’Neill-Gordon spoke on behalf of National Revenue, Minister Keith Ashfield, who is also minister of the Atlantic Canada Opportunities Agency and minister for the Atlantic Gateway. The centre provides space for youth and area residents for social activities and to promote and undertake entrepreneurial initiatives. Local economic development agencies and municipal staff will use the offices to provide services to the 16 communities forming the Rural Community of Upper Miramichi. The provincial government contributed $250,000 and the federal government contributed $202,500 toward the project. The Rural Community of Upper Miramichi provided the remaining $181,000 to complete the project.